Here’s another drop in the bucket of a recalled peace. I don’t have a lens that is normally strong enough for a decent bird photo, but in this instance I was in a blind, putting me close to the action. I still remember an early morning mountain bike ride some years ago with a buddy of mine up Third Fork Canyon where he stopped in front of me, popped off his bike with great enthusiasm and asked if I had seen a wildly colored bird that he had just spotted before it flew away. I hadn’t. We looked at a field guide later and it became clear to us that he had seen his first Western Tanager. He saw it, I believe, because he had decided several days before that to start being more mindful of birds in general. 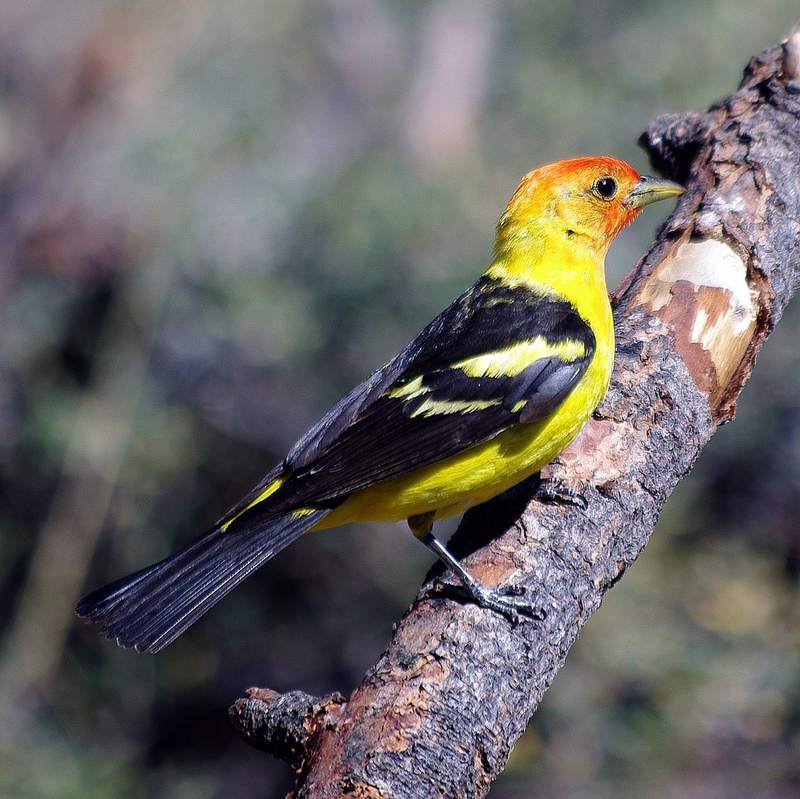 The mindfulness that birding demands is something that I appreciate, and a Western Tanager is, in my opinion, a species that is easy to get excited about. Thanks! It will be on sale shortly for $3,500 in my exclusive downtown gallery. Man you have a lot of great macro bird shots! As I think I mentioned in one of the first I posted a few days ago, I don’t have a very strong magnification lens but I was sitting in a bird blind at a prime location. Thanks for the comment. Are you a bird watcher or a hunter? I’m a novice bird watcher that was traveling, in this instance, with expert bird watchers.